How does Semantic Web Work? We use it for information retrieval, answering questions, advertising, and discovery. While humans are able to see relationships between entities, information, and data, computers don’t have that innate capability. There is a pressing need for computers to be able to identify these relationships if the web is going to serve relevant results to internet users. This is where Semantic Web – also known as web 3.0 – comes in. Ready for a semantic web presentation that’ll define semantic web like it ain’t no big deal and help you understand what this is all about? 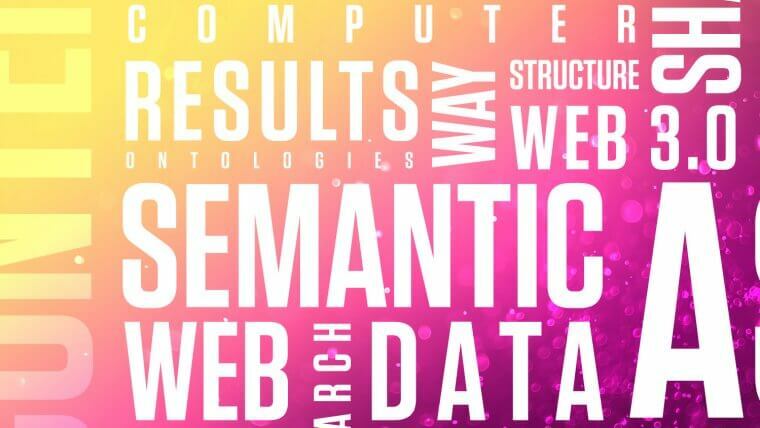 Wondering what is semantic web? Then read up and understand some of the advantages of semantic web! Big data and semantic web. What’s the relationship between semantic web and information systems? 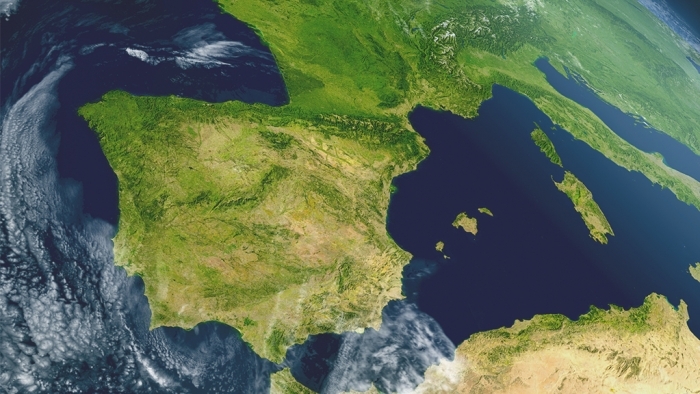 How do semantic web and big data work together? Semantic web stores data and information in a knowledge graph. For instance, “Barack Obama” is stored as related to “Michelle Obama” and to “Malia”. 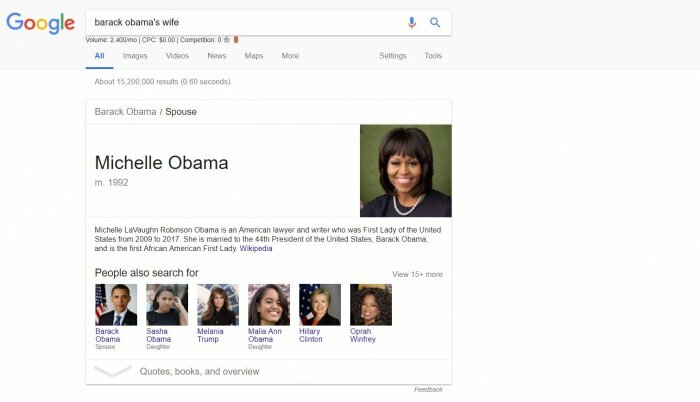 When you search for “Barack Obama’s wife”, search results should return “Michelle Obama”. The relationship between the two is that of “spouse”. This unique identifier is what helps to create the relationship between the two entities. This aspect of semantic web will help increase the specificity of search queries, as well as the information retrieved in order to serve more accurate search results. This means that – to retrieve information about “Obama’s family” – computers would have to crawl several web pages. Semantic web allows this data to be encoded into the web during creation. Therefore, retrieval will be faster and more accurate. Any semantic web definition must always deal with the meaning of ontologies. These are crucial to understand web semantics, the applications of semantic web, and what is the meaning of semantic web. What are semantic web ontologies, you ask? Ontologies are basic components of semantic web. These are files that define the relations between terms. Ontologies help data and information to be classified as classes or taxonomies. Let’s give you a semantic web example for you to get a clear picture. For instance, information containing postal codes could be classified as a location. What would happen if zip codes were also classified as a location? We could end up with zip codes being confused for postal codes. We would need to have two different ontologies for the different codes. Ontologies would make it easier for computers to relate the information on a web page to associated knowledge graphs and rules which guide inference. A good example would be information about an artist. It would be easy for you to find a link to the artist’s biography that refers to their net worth. A computer would need to be quite advanced to even “guess” that this piece of information could be found among biographical information. Semantic web will make it easier for such complex questions to be handled and for responses to be delivered quickly. Relationships among ontologies will show that artists do have a net worth, so the computer will check the ontologies with net worth and retrieve the particular artist’s information. The current web classifies information in taxonomies based on parent-child relationships. This way of storing data also defines relationships between entities. The only difference between taxonomies and ontologies is that the former has a very rigid structure, which becomes restrictive when it comes to fetching information and delivering results. It has a very flexible structure which actually allows for very complex relationships to be identified among entities. This way, complex questions can be answered with relative ease. Ready to find out what are some other advantages of the semantic web? Take some semantic web lecture notes, then! With semantic web, search results can be summarized based on facts extracted from the content. A good example would be based on location. The semantic web concept that would make this possible is called “agents”. These are programs that collect content from various sources, process it, and exchange it with other programs. This synergy will help create proof. These proofs are written in a unifying language which specifies rules as in the ontologies discussed above. 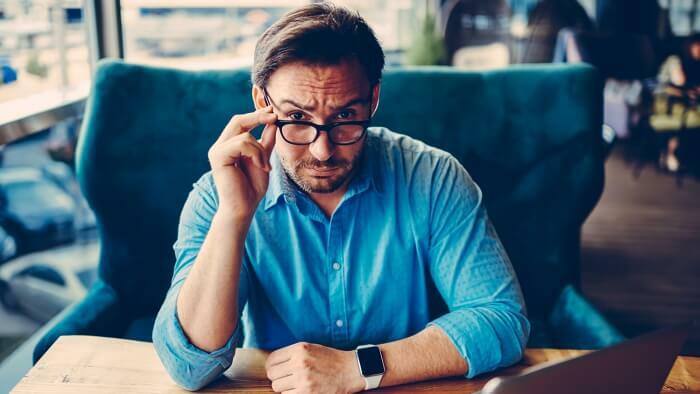 For instance, if you are looking for someone you met at an event, and you probably only remember their first name, profession, and city, you may find them via an online service. You want to confirm whether or not you’ve been able to find the right person. With semantic web, it will be possible for your computer to ask for proof of the returned results. There will be an inference engine that will verify that you found the person you were seeking. Relevant web pages can also be shown for further proof. 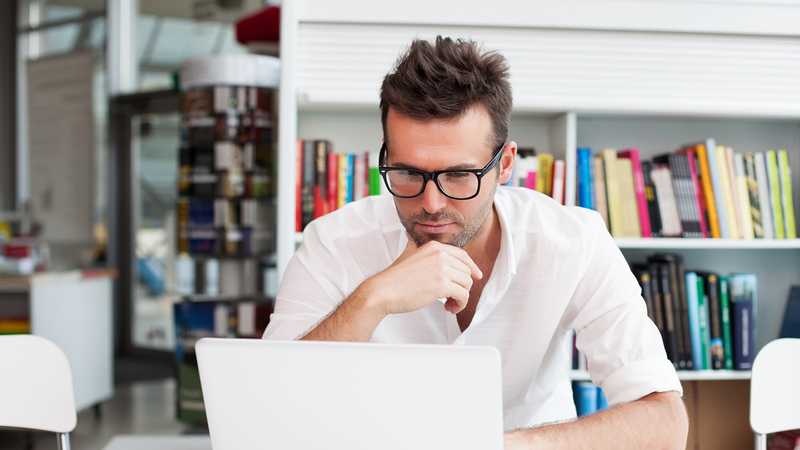 Digital signatures will also help verify that the information comes from a trusted source. The signatures are encrypted data blocks. They will help, especially with sensitive personal information such as finance. If you receive a statement in your email, digital signatures and agents will be a good way to ensure that it indeed came from your bank. The agents will be able to show proof by adding information to a value chain. Semantic web allows agents to exchange ontologies. This way, they have a common reference point. They will even be able to create more solutions with the help of new ontologies. The concept of sharing data is closely related to proof, discussed in the previous point. When we talk about sharing data in semantic web technologies, the closest concept would be social media platforms. There is a requirement to fill out a profile with personal information such as your name, date of birth, profession, and even location. For the semantic web to work, data needs to be broadly shared. It needs to be shared in a machine-readable way. In our current context – and when it comes to semantic web and big data – there is not enough data from individuals and organizations. If there was enough data, humans would never need to search through pages of data and determine what is and isn’t relevant. Web 3.0 allows us to interlink data in a machine-readable way. This way, the computer would just fetch information and serve it to you. As web 3.0 continues to develop, individuals and organizations will be more confident when sharing data. Once there is enough data, serving results and proofing will become easier and more direct. However, it’s important to note that the data collected needs to be structured. As semantic web develops, companies and organizations need to structure the data that they can access right now. They then need to create knowledge graphs. As more and more companies do this, web 3.0 will become a reality. Loved this semantic web tutorial? Enjoyed this chance to finally become able to understand what semantic web technology can do? Semantic web will create a better world where information is served directly to the user in the shortest time possible. The power of semantic web for the working ontologist is boundless. Since information will be stored in ontologies, it’s very easy to retrieve it. Because the relationship between entities is clearly defined and easy to trace. It’s upon us to start making use of the data we can access and store it in a structured way. When web 3.0 finally kicks in, we will undoubtedly be miles ahead.